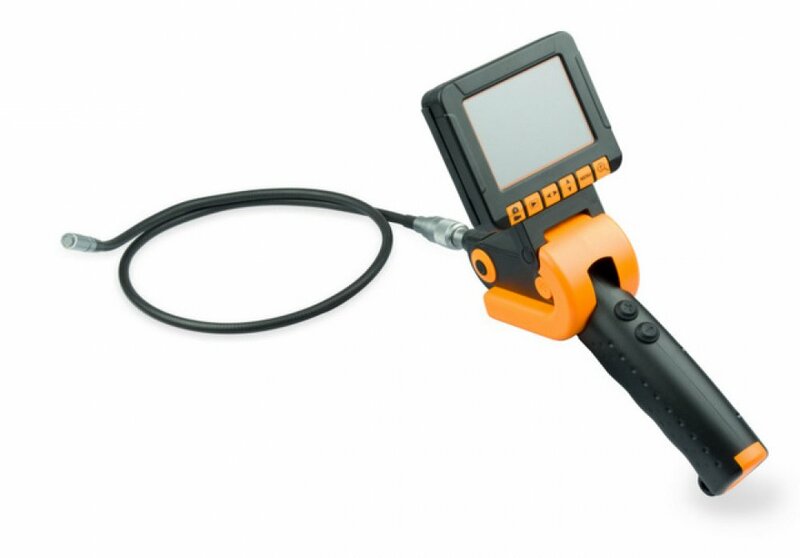 Snake Scope Voyager is a good versatile device for any basic visual inspections. The diameter of the Insertion Probe are 5.5mm or 9.5mm and they come in three different lengths to access a variety of inspection areas. The probes feature a flex and stay semi-obedient design, which will hold a bend until it is physically bent back. Each probe has a Video Camera Chip in the tip, which produces a live image displayed on the portable 3.5” LCD Monitor. The portable monitor has an ergonomic design, with an adjustable screen which stands up or lays flat against the handle. The handle can also be positioned down 90 degrees to complete inspections at different angles. Included with the Scope is a 2GB SD memory card for file capture, a USB port to transfer files to a PC or laptop and a microphone to record inspection audio. The unit operates on 4 AA batteries, which last up to 3 hours for portable use.